Jupiter Studios Grand Re-opening Party welcoming Digitech Records to Alliance! Please Join Jupiter Studios on January 18, 2019 for the Grand Re-opening Party! Jupiter Studios welcomes Digitech Records to Alliance with one massive party! Please join Jupiter Studios in welcoming Digitech Records, relocating from Florida to Alliance. The evening will feature live painter, Rae Faba, live music and dinner specials. 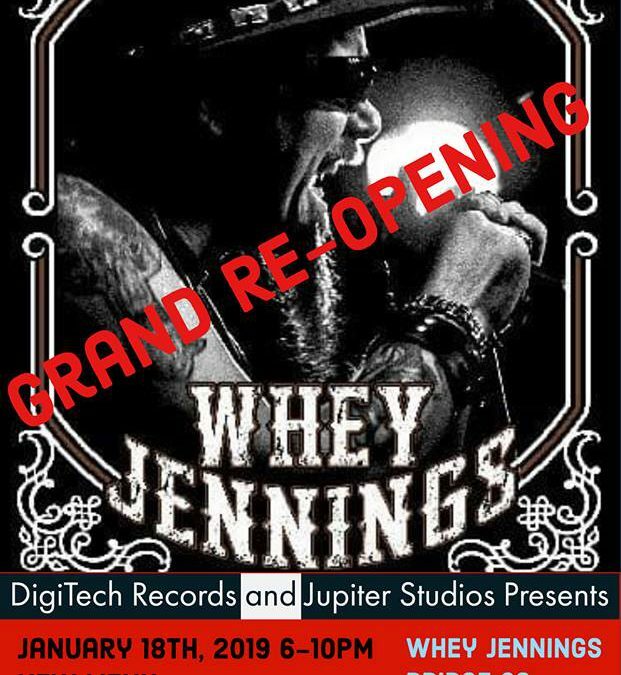 Jupiter Studios and Digitech Records are pairing up to restore the Alliance Art and Music scene and revitalize new energy into Downtown Alliance, for the grand re-opening of Jupiter Studios!!! The visual art exhibition for this evening will be “Introduction to Innovation” featuring artwork by Jupiter Studios’ 2019 teaching artists: Rae Faba, Nathan Carpenter, Chrystal Shofroth and Doug Yukich. Live music for the event will include Bridge 62 of Columbus, Madison Pruit of Columbus and Bobby the Drum Major of Nashville. For more information on Digitech Records, please contact David Seay or visit https://davidseay.wixsite.com/digitechrecords.